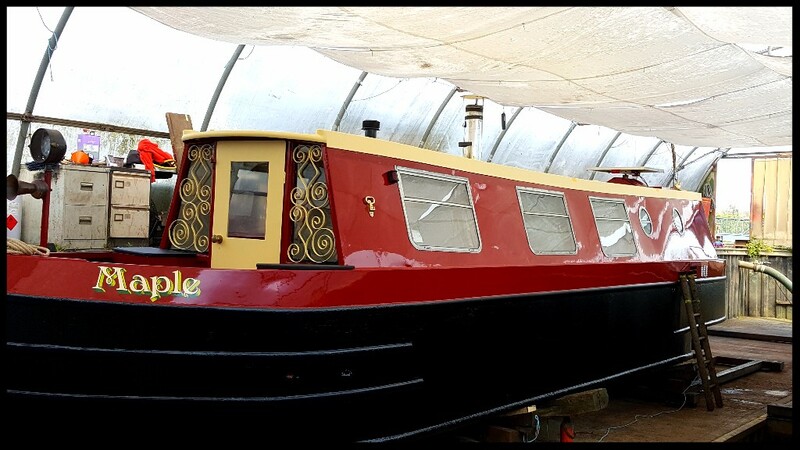 This is 'Maple' which was built in the early 1970's by an unknown boat builder. 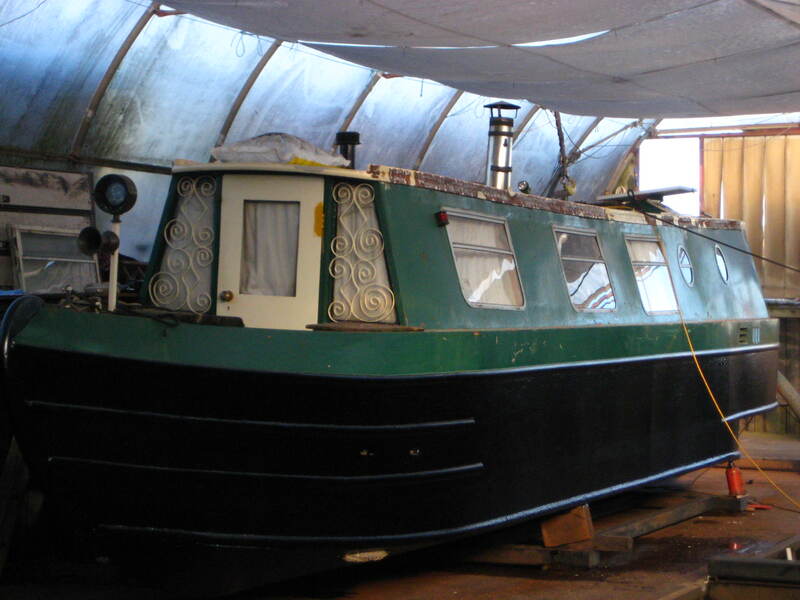 This boats' unconventional construction of the hand rails had, over some time, caused serious problems. 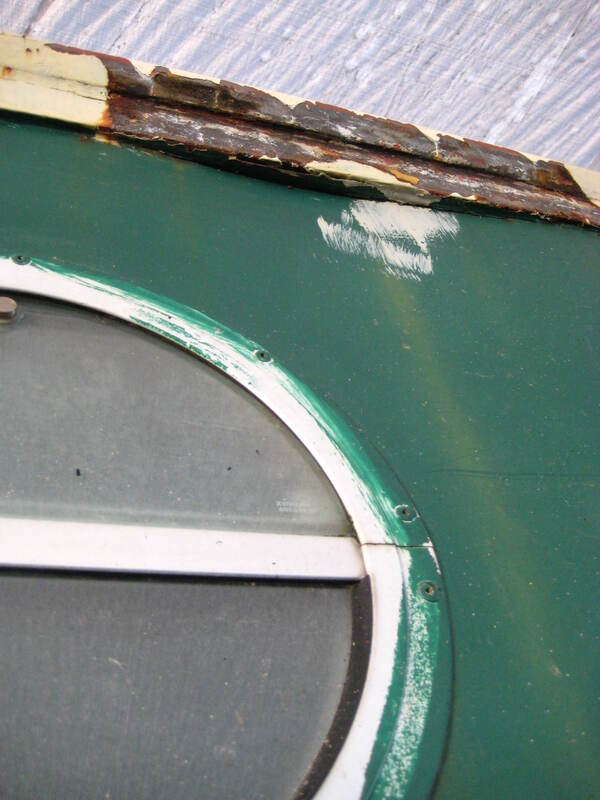 Rust had built up and started pushing the side of the boat in, changing its shape and causing the windows to no longer fit. Rain water was leaking in. 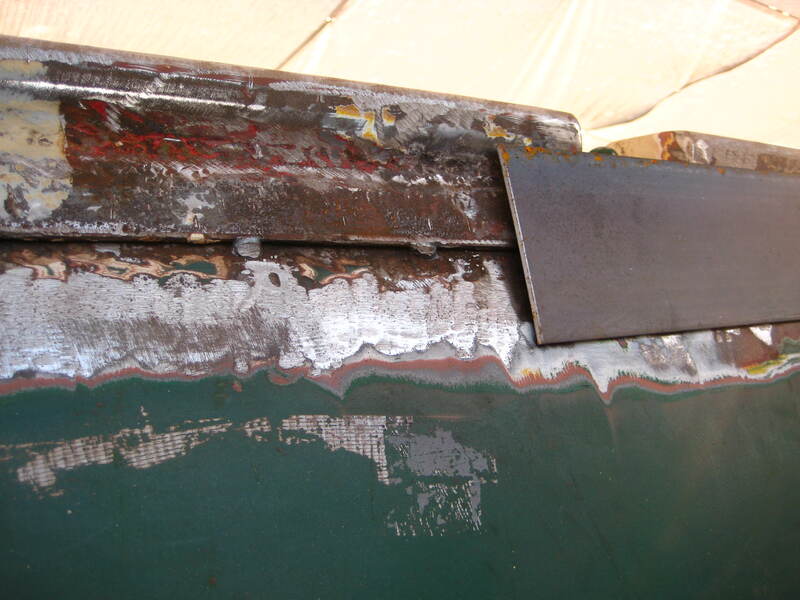 Also the welds at the corners at the front end had started to split. Sometimes the answer to problems requires a bit of ingenuity. 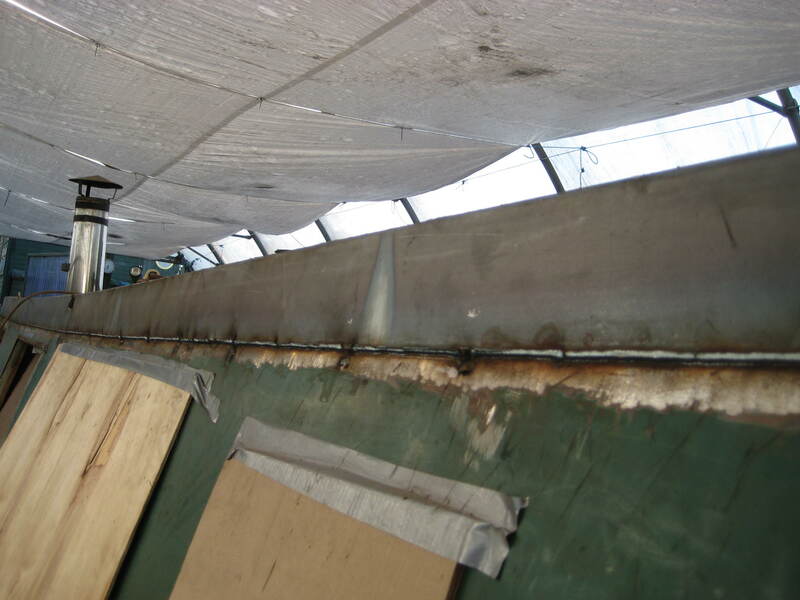 The least drastic and invasive solution was to weld a section of metal over the length of the hand rails and prevent water getting in again. 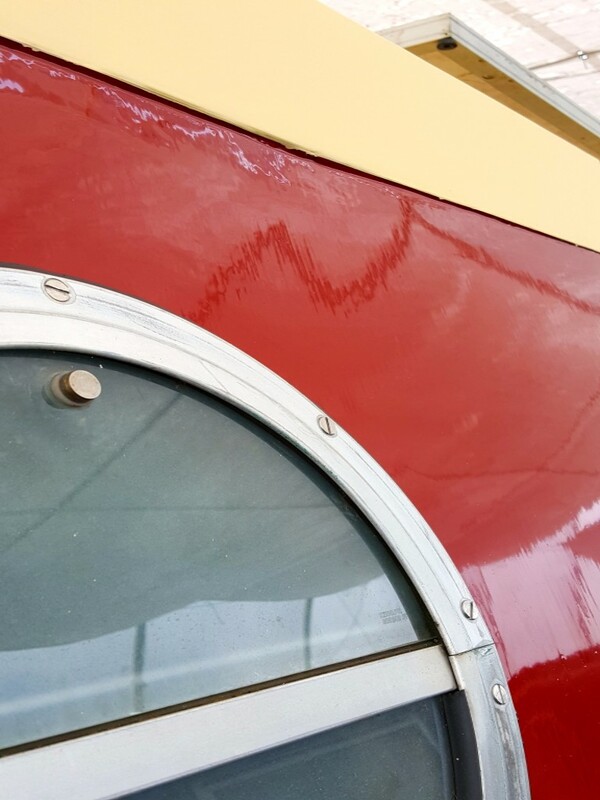 This was done carefully a section at a time allowing the dents to be pulled back out, as much as possible. The windows were removed and the alarming noises began! Once the hand rails were sorted the preparation for the re-paint could begin. The rust was treated and 2 coats of primer, 2 coats of undercoat and 2 of top coat were applied. The results you can see!